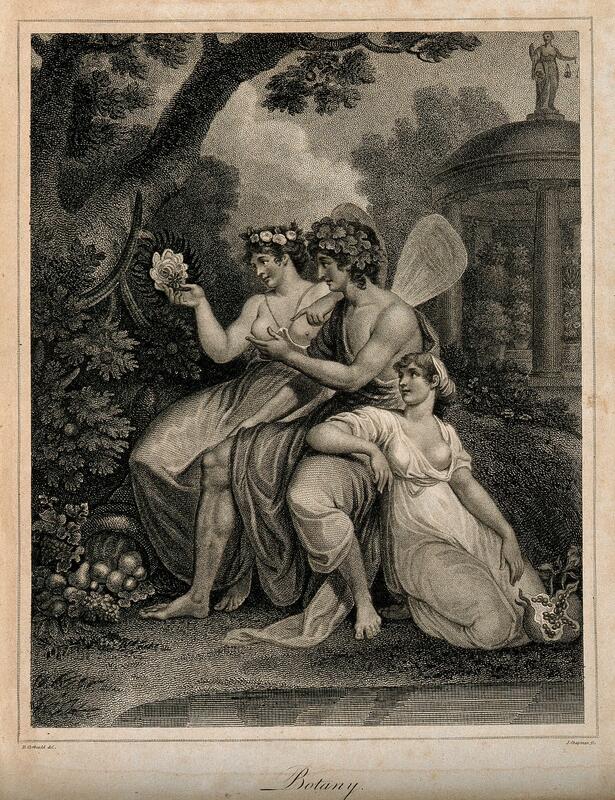 Three fairies in a garden looking at the plants; representing botany. Stipple engraving by J. Chapman after R. Corbould. Botany. ; R. Corbould del. ; J. Chapman sc.